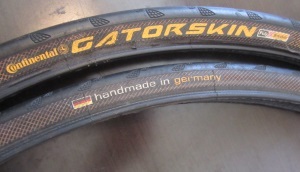 I found two Continental Gatorskin tires for the Sannino today at the swap meet. $3 each. One tire shows a little light wear. The other looks new. The Fifty Dollar Shop. The guy bought a few basic tools and supplies for under $50 and will use them to build up a fully stocked wookworking shop by creating things and selling them, then using the proceeds to make or buy additional tool. My wife's family uses these so it was new to me and seemed a bit wasteful at first (so I had to spend extra and get the maximum vacuum sealed chamber model from Zojirushi) but now I love it. We've since gifted one to everyone on my side of the family and to new ones to some people on her side. Gatorskins for $3? Your swap meet is amazing. Heh. That's basically one of the things I had on my when-FI list. 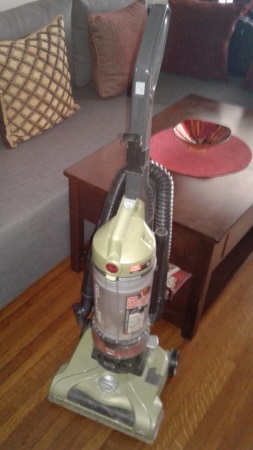 Mrs. Ego took out the trash last night and came back with a Hoover bagless HEPA filter vacuum cleaner. Sells for $98 on Amazon. She tested it this morning and found that it is in perfect condition. Strangely, our apartments have only hardwood floors. 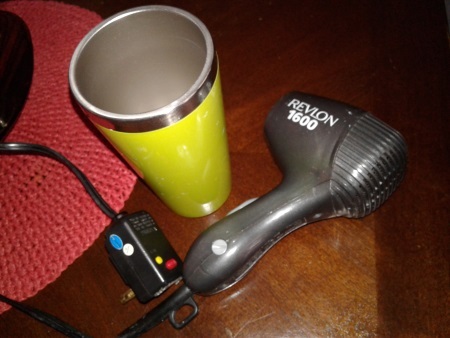 Found a hairdryer on top of the trash. Yes, you guessed it, the circuit interrupter had blown and the reset button needed to be pressed. Works perfectly. Nearby was a stainless cup. The tenant who tossed it is an artist. She put a paintbrush in the cup by accident (I assume). I sprayed a little Goo Gone in the cup and let it set for a few minutes. The paint washed out like nothing. I am enjoying this set of tools for systems thinking. I found a nearly new Leatherman Surge at the bottom of a bin today at the swap meet. 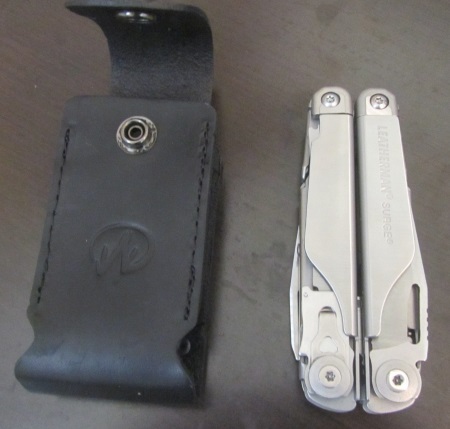 I paid real money for it (1/3 of retail) but I'm confident that I can sell my old Leatherman Wave for the same price (after ebay/paypal fees) so it should be a wash. The Wave is okay. I've carried it for years. For some reason the torx screws holding it together seems to loosen all the time, which is frustrating because they need to be tightened just when I need it to work. Also it doesn't have a wire stripper like the Surge which is something I always seem to need and end up trying to strip a wire with the blade. And the Wave seems more like a toy while the Surge is more beefy like a tool that will last. This one was definitely a 'want' rather than a 'need", but I should be able to flip it so that there is no additional cost involved. Nice. 1/3 of retail is a score. Leatherman has a really good warranty policy. My understanding is they will fix anything for free. Try thread locker glue? I used my wave a lot over the weekend during a dryer install. Great tool. Heaviness has me looking at a titanium one. Sclass, funny I just now used it to cut a box down to size to ship a hat. As I was cutting I thought.... did I really need this? The Wave is sitting on a shelf next to my bottle of loctite but the hex bit is in the basement. The last time I brought the hex bit up, the loctite was in the basement. Never fails. The little foreign-exchange student finally moved out. Whenever we'd see her in the building Mrs. Ego would whisper something like, "Trip her and hold her down while I steal that CUTE sweater". Well, she left four plastic bins full of Nordstrom-quality clothing in exactly Mrs. Ego's size. Some of it with tags still attached. Too much. Way too much. We have no room for it. She also left Calphalon pots and various cooking stuff and a Zojirushi bento lunchbox and a bunch of storage containers that would spark Marie Kondo joy. We're going to pile it in the car and sell at the swap meet on Wednesday afternoon. I'll see if I can unload the Leatherman Wave too. And maybe a bike. Mrs. Ego has dibs on the proceeds from the sale, not including the Leatherman money. She is getting her motorcycle license and is going to take the class, which costs $180. By doing so she gets to avoid taking the driving test at the DMV. Cool on the motorcycle class. Unlike the people who wobble through the test at DMV, Mrs. Ego will also learn how to ride a motorcycle. I say that even though I never took the class, blush. I just wobbled for a couple of hundred thousand miles. She's a pretty good cyclist so she should do well once she gets over that initial phase of figuring out the extra elements of foot brake, throttle, clutch, and weighted balance. I just got back from the swap meet and she showed me the type of gloves and helmet she wants me to find. I've found a few old distressed hats lately at the swap meet and sold them for a good profit. $50-$75 per dollar invested. 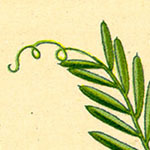 But they are well known brands which are few and far between. I bought this old no-name for $1 and paid another $1 for the carved feather from a lady who dumps piles of old jewelry on a table. I decided to keep this one for myself. What I'd really like to do is figure how how I might get away with something like this. While out hiking a couple of weekends ago, I found a brand-new looking Nikon Aculon rangefinder. After some research on prices for a new one, I stuck it on ebay at a starting bid of $50. It ended up selling for $115! My god those hats on Farfetch are seriously the most hobo looking hats I could imagine ever being sold. C40, I am seriously trying to figure out the mindset/psychology behind those hats. What is the underlying drive to buy something for 50X retail that looks as if it has been worn for years? Buying authenticity? I was curious too and turned to reddit for answers. This review of the hat line points out the burnt ones are all unique so that might attract some buyers. I'd wager it's partly to attract attention to the line by being so absurd. Next, I learned about peasant core style as it came up with another hit on brand name. Who buys that stuff? Apparently, males really into fashion. Yesterday, I found a nice Petzl head lamp at the thrift store for $1.50. I got it home and put in new batteries and the LEDs were very dim. I had noticed some corrosion in the battery compartment but very mild. I was going to take it apart to clean it but instead just poured in alcohol and let it sit. Then drained it. After two cycles of that, it came back to full brightness. Not exactly something from nothing but nice all the same . @SWB, thank you. That is really quiet interesting. Peasant core or elevated peasantry. I can understand that desire. I guess it's similar in theory but very different in execution from the urban lumberjack style. Not really too different from the dirty old hat I bought above. My great-grandfather was a hatmaker for Stetson in the 19-aughts and I've always wanted to get better at repairing the old hats that are always at the swap meet. 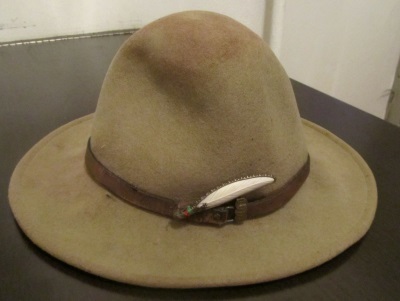 Mrs. Ego did a wonderful job restitching the lining into a 1950s Stetson Open Road I found. I've got two friends who buy Peasant Core style stuff with me at the border and have regular spaces at the Rose Bowl Flea each month. I know they get mind-blowing markups but they are both .... you know... cool, so they are able to SELL it. I can only offer it for sale. Very different. I was impressed by Horisaki & Handel because it appears they are able to SELL it via the internet. Not easy. @Ego - well, if they actually sell those hats, that company could be one of the best "something from nothing" companies around. 2 - Sell to Johnny Depp wannabes for $800. I wonder if the hats have a musk aroma. Perhaps the musk would add that extra authenticity the buyer is looking for. It's all about perceived value. It is kind of amazing to see people who are able to make the leap from craft to artist. As these guys show, the payoff can be huge. They've found a way to tickle the various perceived values in peoples minds so as to empty their pockets. Remarkable. @Ego/C40 - Check out used cowboy jeans (complete with certificate of authenticity) for a proven business model.